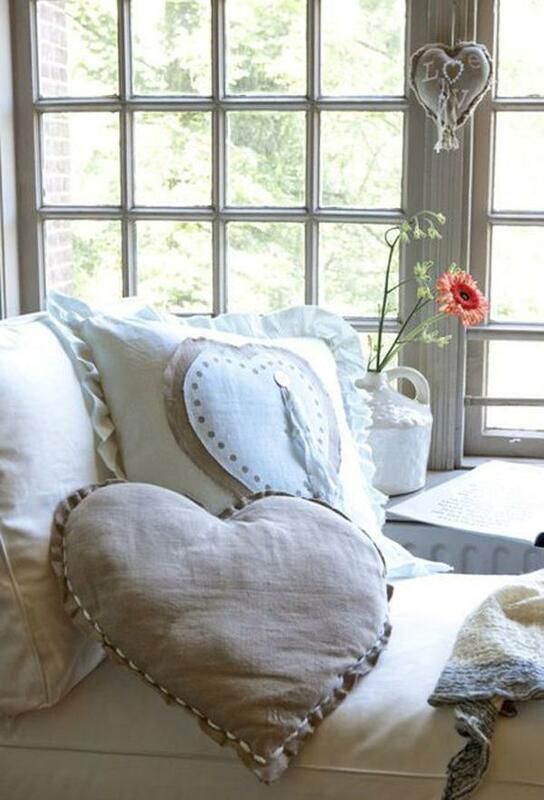 Heart-shaped pillows are one of the best DIY gifts you can do. It’s perfect for your always sleepy partner or your pillow collecting friend. After the holidays, another much awaited season is the season of love; the day of hearts; the date we all so knew and celebrated. Ladies and gentlemen, Valentine’s day is just around the corner. 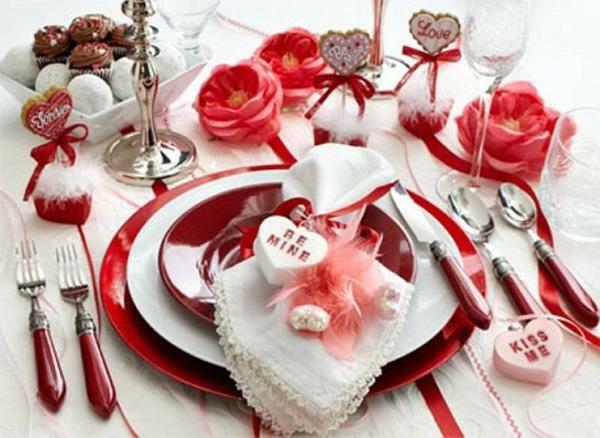 Valentine’s Day is what most couples are looking forward to other than each other’s birthdays and their anniversary. It’s another day when they can feel more vocal and open to their love for each other. But, this day isn’t and should not be for couples only. 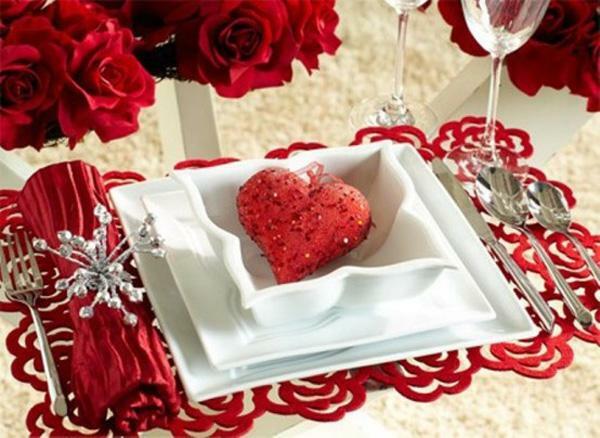 People with no commitments or are in a “complicated” status can also enjoy Valentine’s with friends and their family. After all, it’s a day for love in general. Valentine’s Day is also one of those moments when you have to crack your mind open for whatever gifts you can give to your special someone or to that one person you really cherish the most; be it your husband or wife, girlfriend or boyfriend, your mom or dad or perhaps your best friend. Malls and shops are filled with everyday items you can give them. But we always have that little voice that usually teaches us that it’s much better to give something you actually worked hard for. Sure you can plan something really romantic and intimate. You can even simply hit the road for something spontaneous. Yet there’s nothing more special than something you dedicated your time and effort on. Alas! DIY or Do It Yourself projects are always here to help you. DIY gifts have always been the best kind of gifts you can give to whoever you care for. It’s more than just a thing or a decoration or an every day object. It’s made with love, poured with patience, handled with care and completed by memories. It’s a personal way of saying “I love you” or “Thank You” more than words. You can make it on your own or together with your friends and family. There are simple DIY gifts that even children could make but it’s rather important that there is adult supervision. There’s usually sewing and cutting in these projects so just be sure that there are adults that will help them on these steps. So what are the best subjects for these gifts? 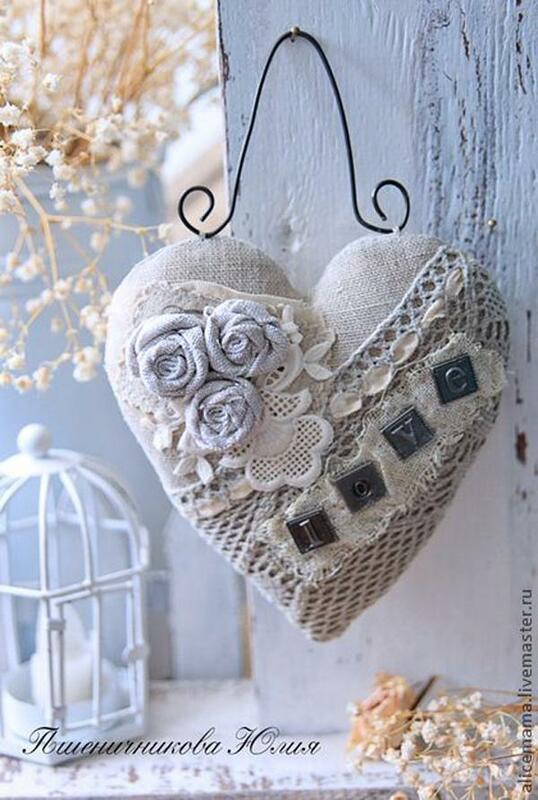 Of course there are always the heart and cupid designs, but what can make your gift extra special are the things that are special for you and the person who’s going to receive your gift. Take a walk down memory lane and remember which things or places or food that you know will make that someone smile and remember you. These projects doesn’t have to be complicated or fancy. You don’t need a degree in art and design just to create a DIY project for your special someone. If you’re not comfortable with your skills, look for something that is closer to what you can do. If you are ready to accept the challenge, then you can venture out to more sophisticated projects. This one might need a bit of your artistic side. 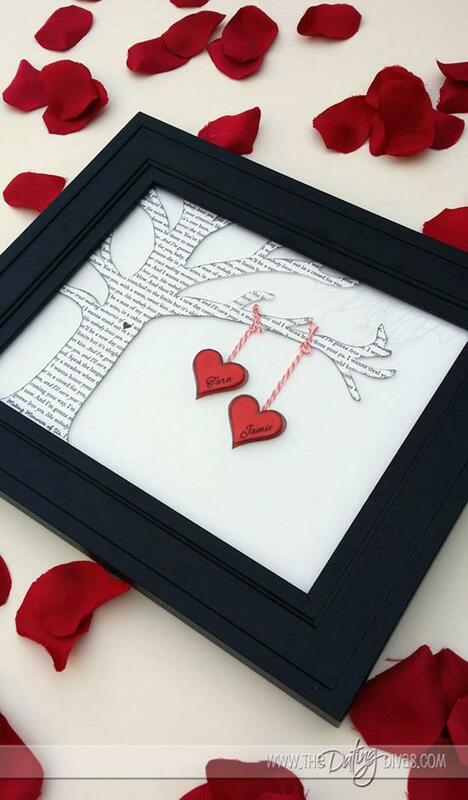 Take an unused frame then create a tree from a page of your partner’s fave book or a copy of their favorite poem. You can then tie your heart shaped cutouts with both your names. Secure everything with a glue if you want. This one is great for decorations. 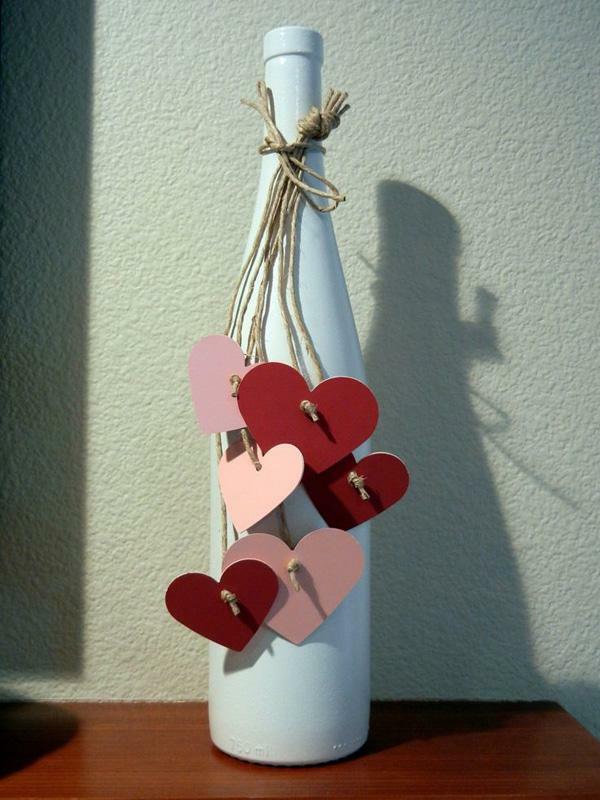 You can find an old wine bottle, cut some little hearts on craft paper and tie them on the neck bottle with a string. Simple but filled with love. This one may need more of your time and effort. 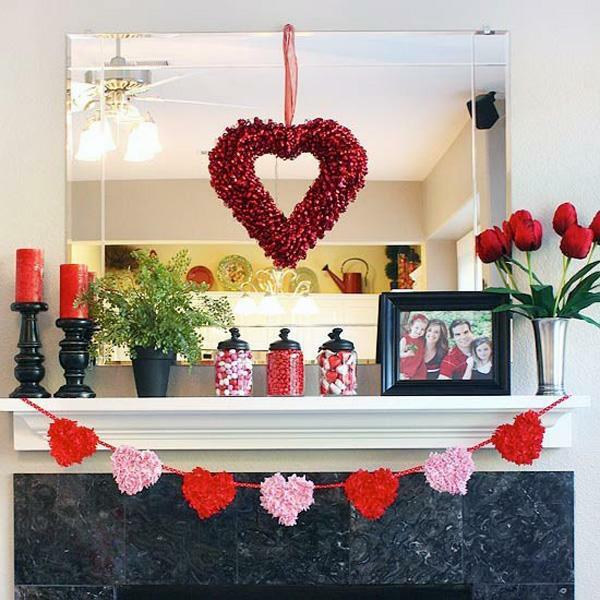 After making a heart shape, you can hang it on her mirror alongside pictures of you together. Adding a touch of pink, red and white candies on clear candy jars can make everything sweeter. May it be a passage on their favorite book, an important date, their favorite flower or a reminder of love; it would be perfect gift for Valentine’s Day. 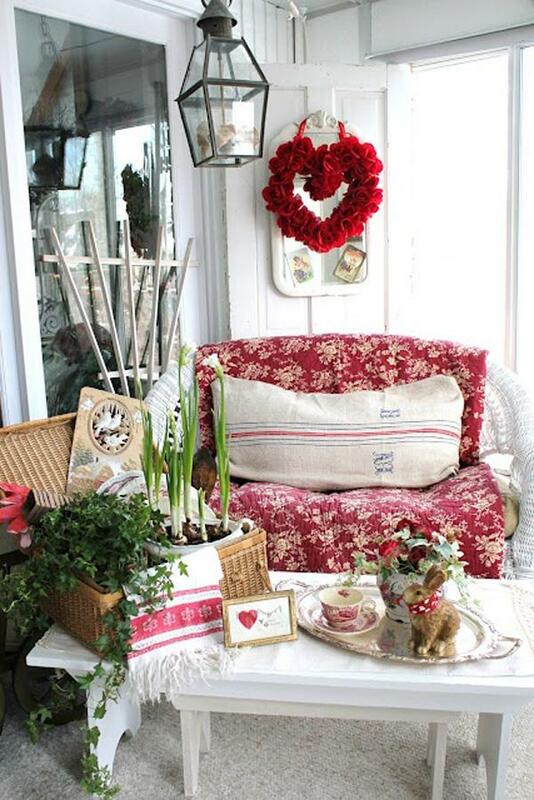 Create three hearts out of cloth, cotton or paper, paint them in red and maybe sprinkle some red glitters as well. 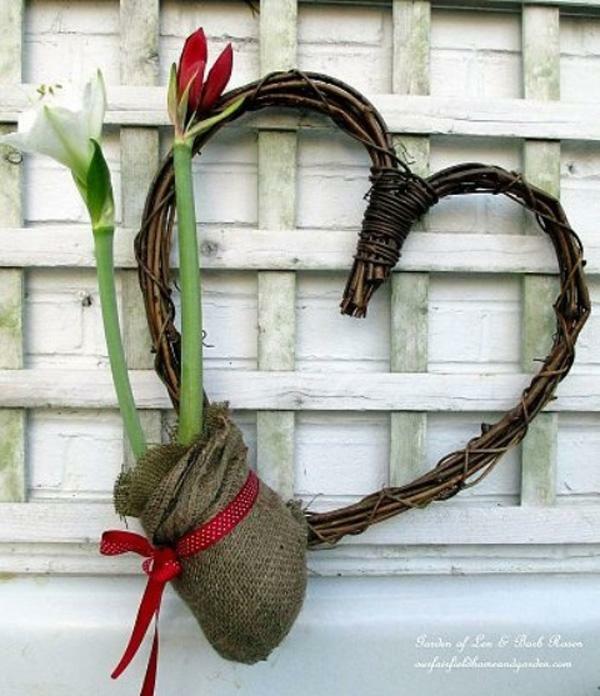 Link these three with a beautiful ribbon and you now have a door decoration that’s perfect for the season of love. 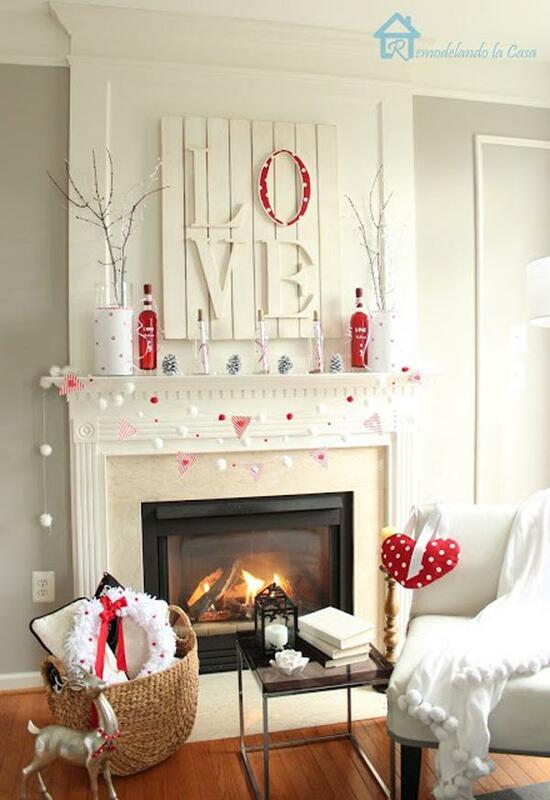 Decorating your fireplace with these awesome stuff could definitely earn you a hug or a kiss from that special someone. 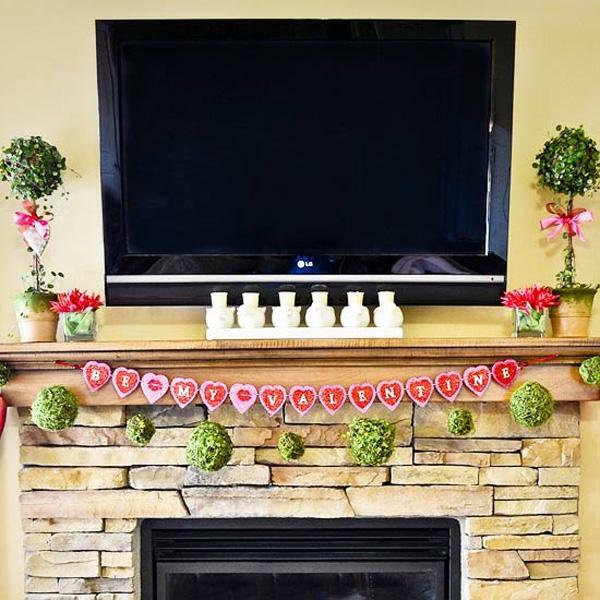 Round up all the DIY gifts you’ve made over the years like your heart-shaped pillow, LOVE wall design and decorative bottles and create this sweet ambiance in your home. 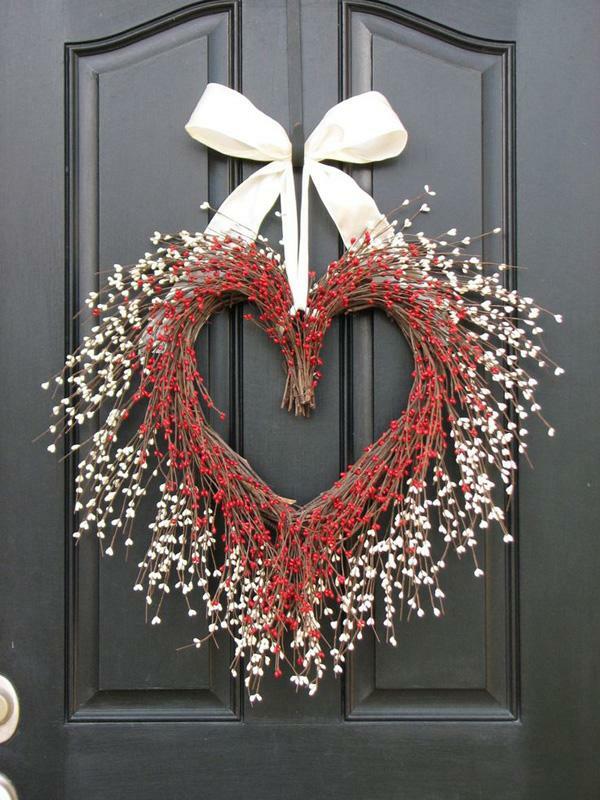 This simple heart-shaped trimmings could relay your message and give off a festive mood. Hearts in reds and pinks along with candies with the same color would work well with a vase of red tulips and your favorite plant. These heart cutouts could be done with the use of craft paper. Of course, Cupid should not be gone on this day of love. 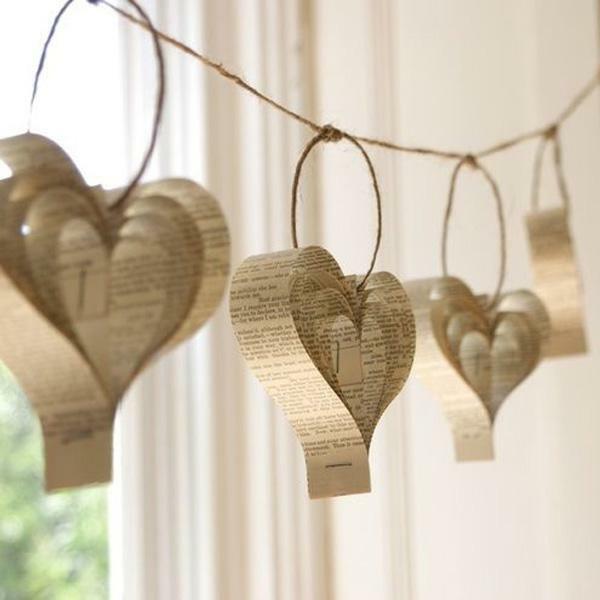 Have all those unsent love letters to your special someone in a bottle and have it as a design and a gift along with your heart-shaped wreath. They’d surely be anticipating the moment they can read your letters of love. 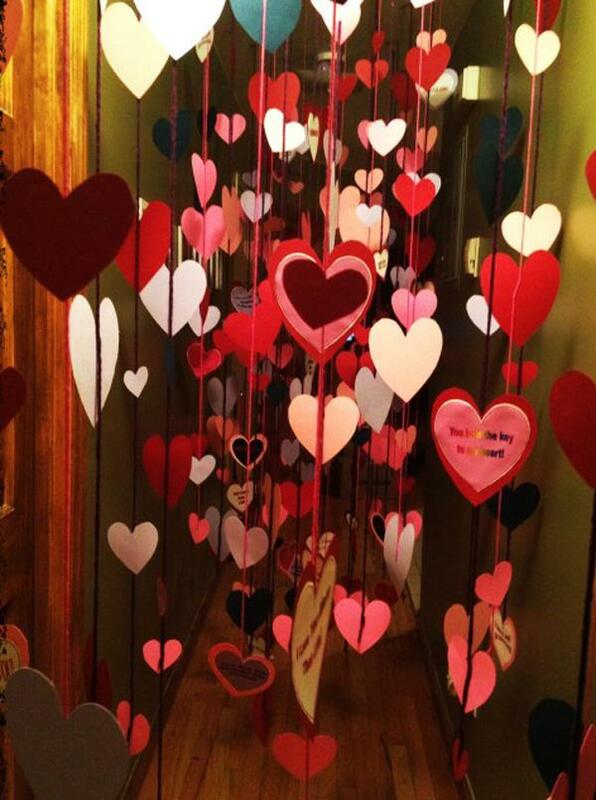 Surprise them by filling out the hall with hearts hanging from the ceiling. Want to make everything better? Each heart could contain the reasons you love them! 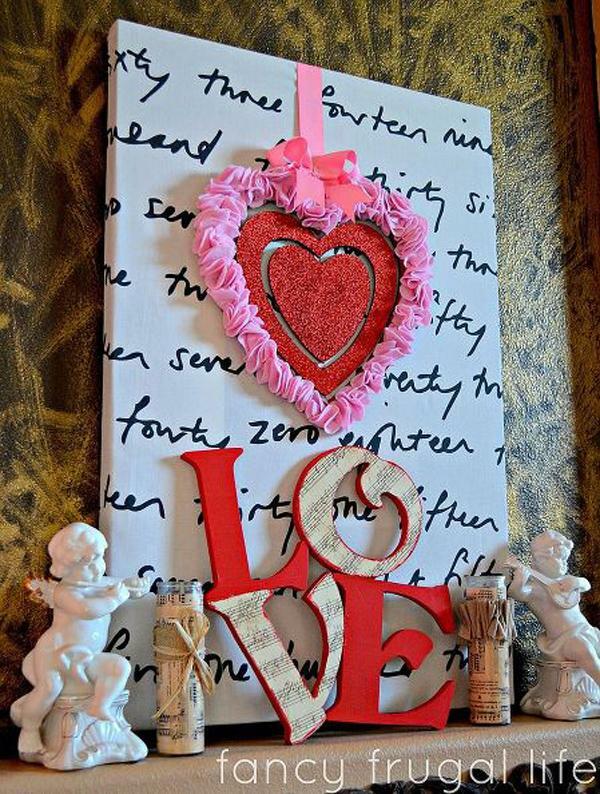 Sew or glue a bunch of little red buttons to form a heart on a piece of canvas. Add a cute bow and heart pendant and it would ultimately look like the cutest Valentine’s Day design fit for the love of your life. if you or your partner is rather fond of nature, this piece is perfect for the both of you. You can find everything you would need right in your garden. 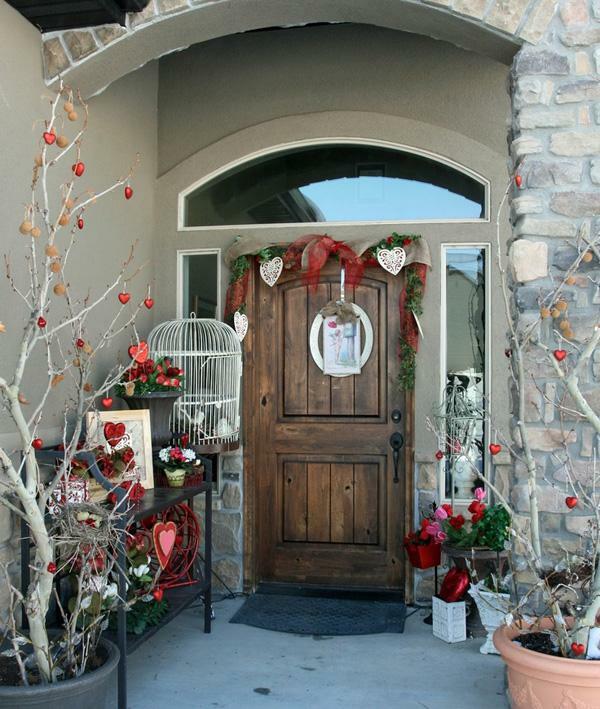 This heart wreath is perfect for your patio. Just imagine spending some quality time with your partner in this beautiful spot. Christmas isn’t the only time you can design your home. 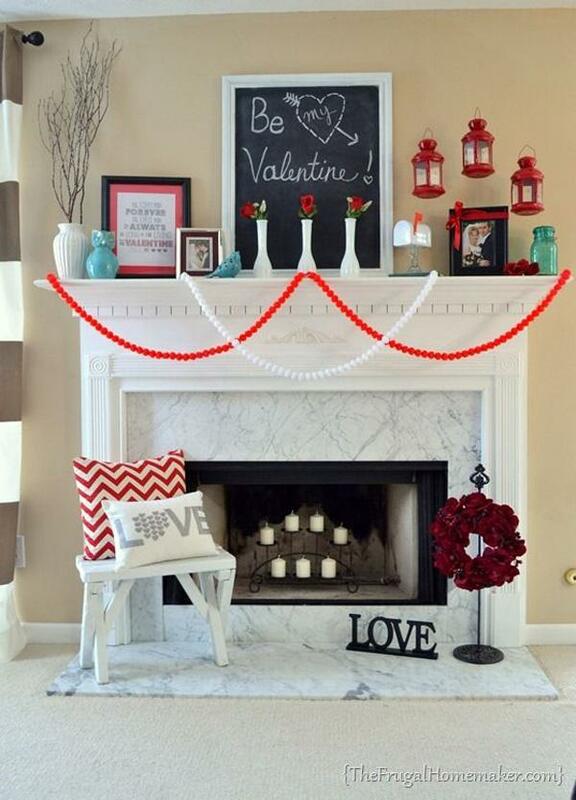 You can also decorate your home with these outdoor Valentine’s decor. 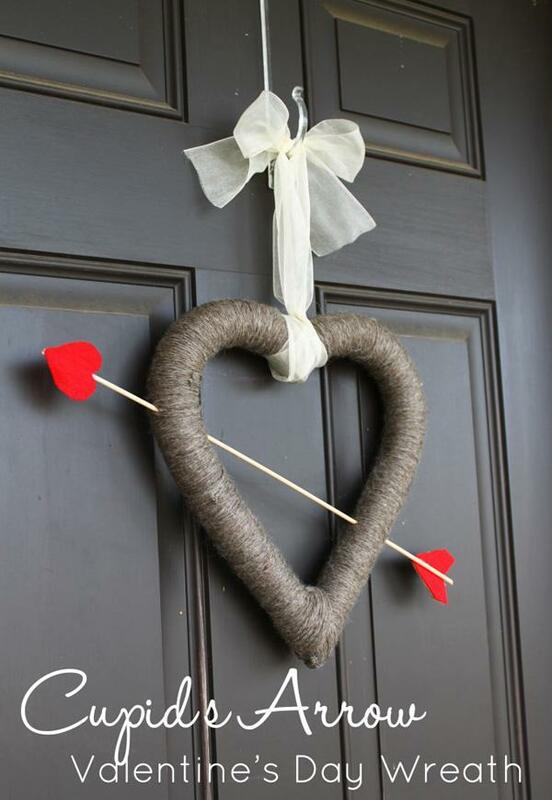 with the help of yarn or craft strings, you can make this wonderful Cupid’s Arrow and Heart wreath. 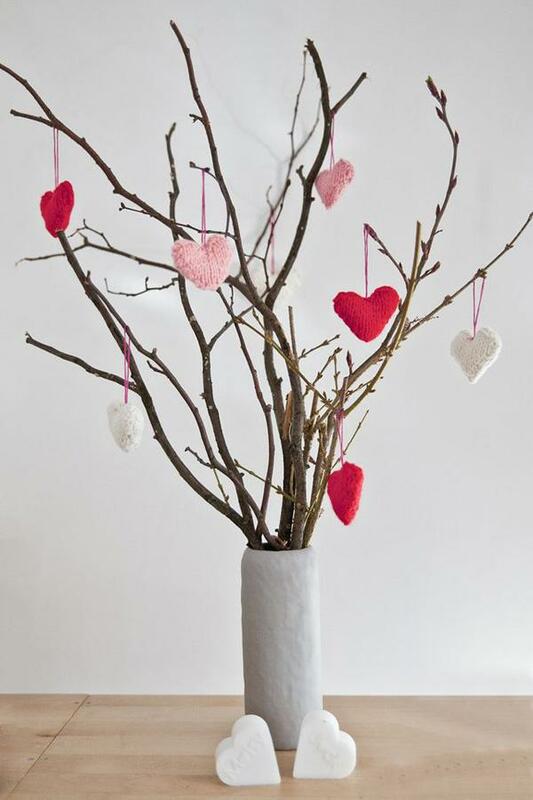 If you have some knowledge on knitting, you can make these cute little hearts that you can hang on a vase of twigs you’ve found on your yard. 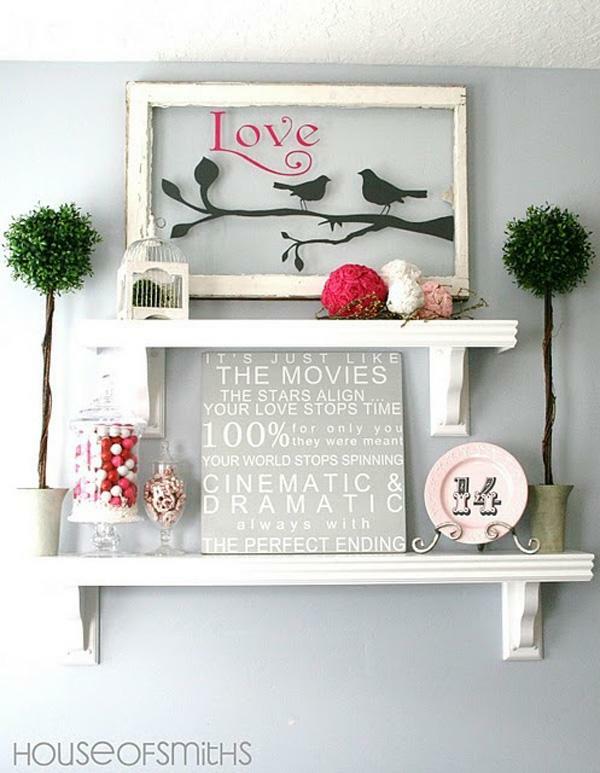 You can repaint some old heart-shaped boxes, stack and glue them together to create this great design for your home. You can buy some red, pink and white pebbles on some craft shops. 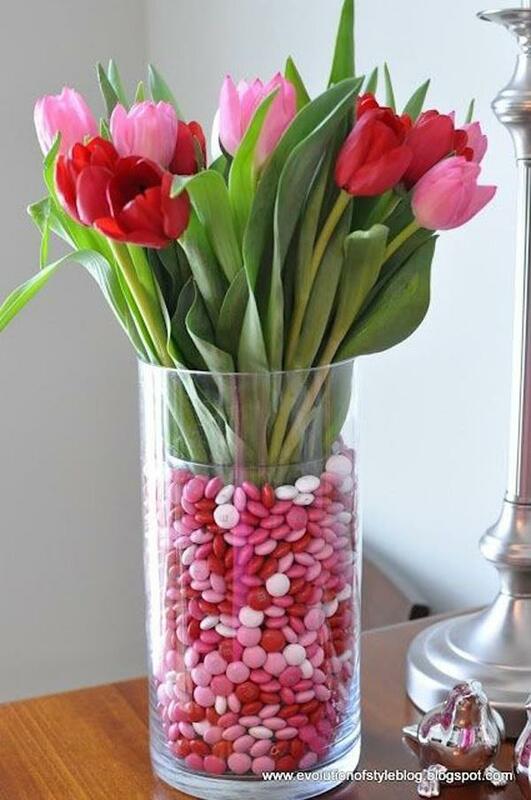 You can then pour them on a transparent vase and then add some matching tulips. Probably the greatest bouquet you can get. 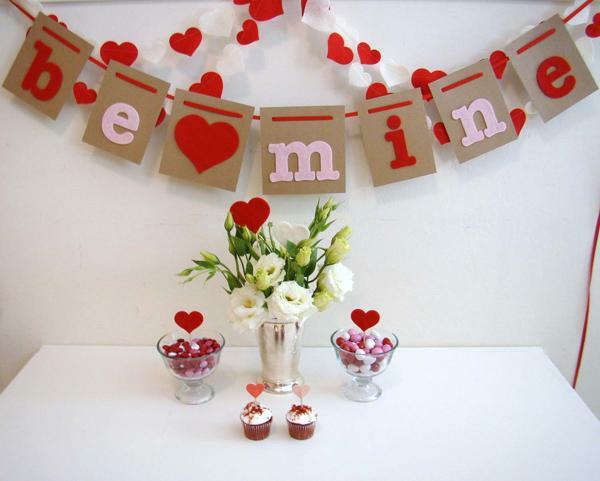 Have some stringed heart cutouts, create some flags with your message and then bake the most delicious cupcakes. Your special someone will definitely never say “No”. This one is perfect for the whole family. There are printing shops that caters to printing on mugs and plates with your own message and designs. 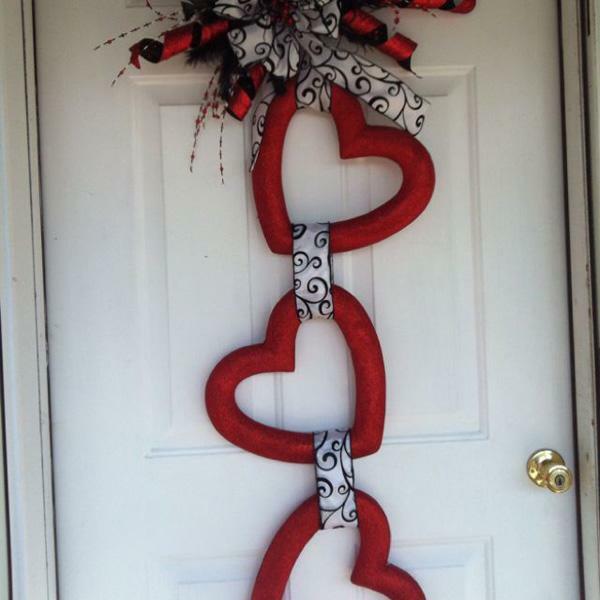 Tired of those ribbon heart wreaths? Well you can make your own with this unique idea. You can either make these heart shaped cushions or just make a heart-shaped desserts. Both are incredibly fine. This one is rather easier to make but simply beautiful. Cut out different sizes of hearts and glue it partly in the middle so it would pop. Then simply place it strategically on your wall depending on what design you want. Want to give something to a book lover? 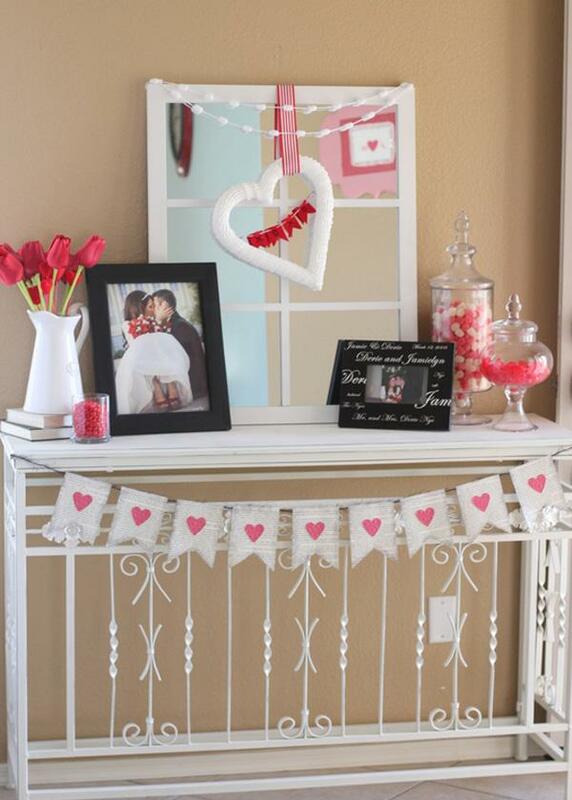 These paper heart garlands are easy to make and serves as a lovely design. You can piece this lovely artwork together with the pieces of cloths you no longer use. 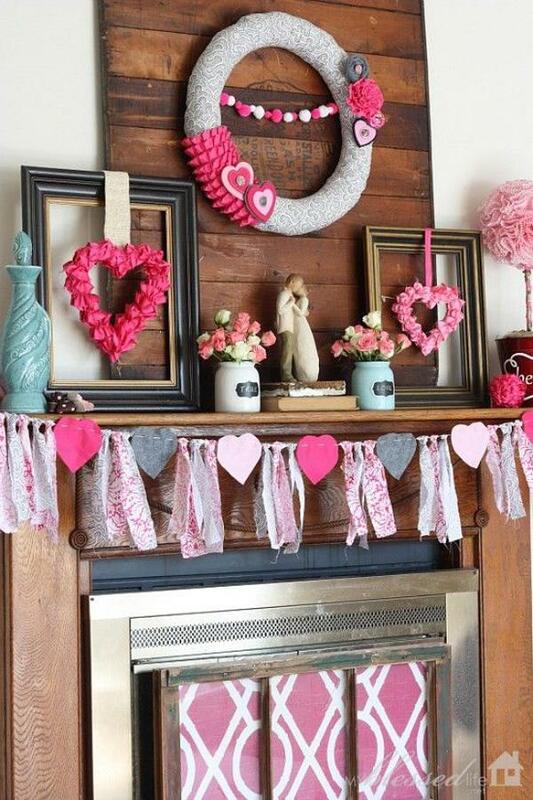 Cut some heart shapes from these cloths and some strips and place them on a craft string alternately or depending on the design you want. Exerting a bit of effort on the dinner table other than cooking your family or partner’s favorite meal can be much better. 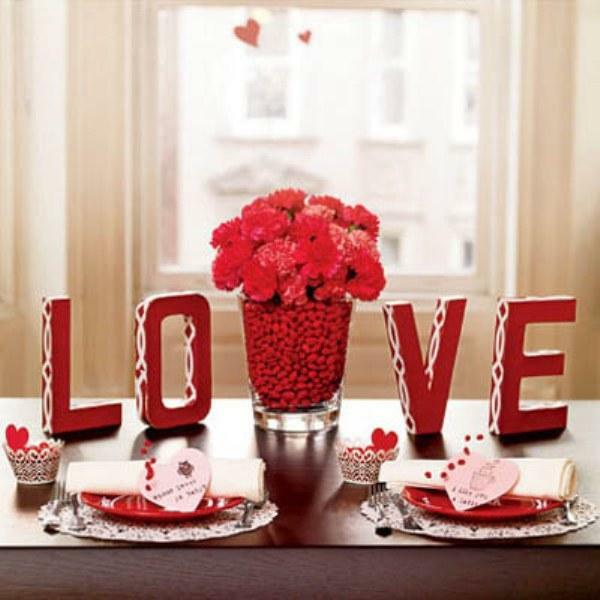 Have a stunning centerpiece with these red pebbles and red flower, a L-O-V-E design and messages on a heart cutout. 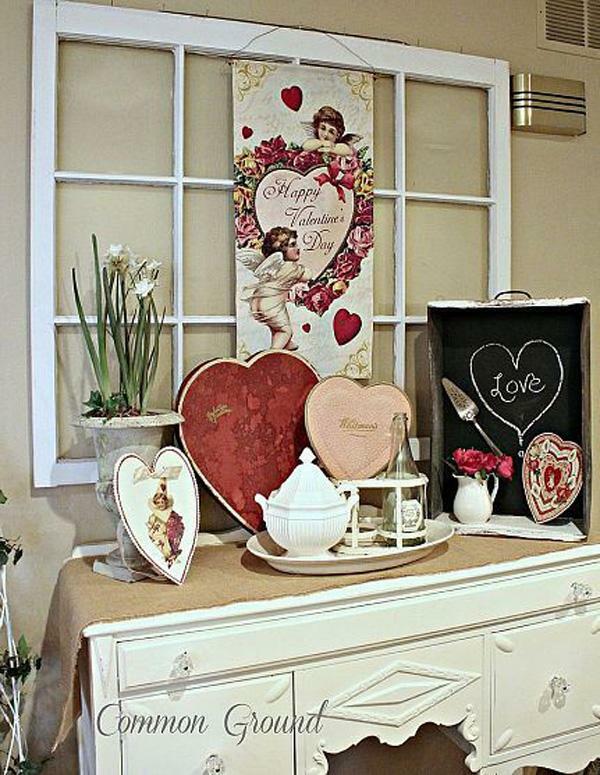 This heart-shaped decor gives off a vintage chic vibe which is especially good for people with that taste in art and fashion. Having the right designs for Valentine’s day is important. 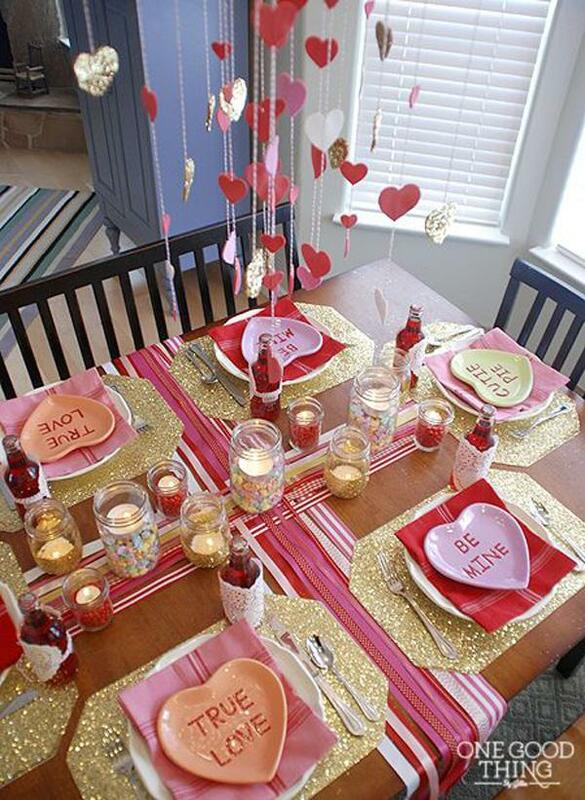 Then you can take your time in decorating your home or perhaps the dining table. This is perfect to do with the children.